Did you just read Ad-free streaming service? Well, believe us or not, Disney is making some serious moves to not only get into the streaming game but to conquer the competition entirely. The House of Mouse already has a controlling stake in Hulu, leading sports streaming service ESPN+ and now the most awaited Disney+. If you didn’t know, Disney+ will be launched this year. It’s this last service that has fans excited. It will feature Disney’s massive content library, and even complete franchises like Marvel, Star Wars, and Pixar. Yesterday ‘The Walt Disney Company’ made an announcement, and everyone is even more excited about what’s to come. 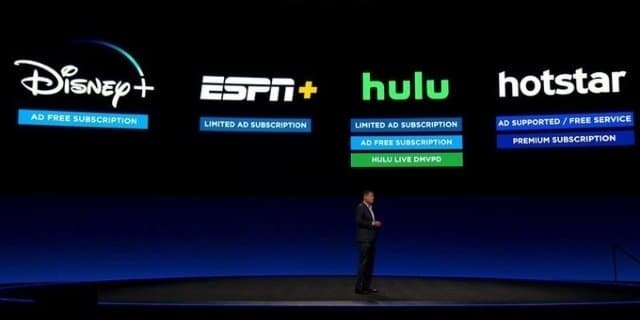 The announcement was, unlike Hulu and other streaming services on the market, Disney+ will not entertain ads, in any way, shape, or form! On Thursday i.e. April 11, Disney set a presentation of its direct to consumer services. This presentation revealed plenty of new information about the various streaming options the company will offer. After a brief introduction from CEO Bob Iger, Disney Chairman of Direct to Consumer and International Kevin Mayer was brought onto the stage to talk about the future of the company. He explained what services Disney is currently offering on the streaming front, and what’s to come in the near future. During the presentation, Mayer talked about the differences between Hulu, ESPN+, and Disney+, putting graphics on the board behind him for each. We all know Hulu is known for having different levels of subscriptions, some with ads and some without. But, Disney+ will exist without them. It would be just like Netflix, wherein you pay a flat cost for a subscription with no ads at all. Naturally, this is a piece of good news for fans of Disney. It gives yet another reason for folks to sign up when the service is available later this year. Are you excited for Disney+? Let us know in the comments below!